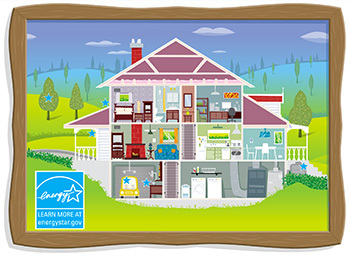 The components of your house—the insulation, HVAC systems, the thermal envelope, appliances and lighting—all contribute to your comfort, health and safety and energy efficiency of the home. If one system has a problem, it impacts the other systems’ ability to function properly. Treating the obvious symptom without knowing the real culprit behind it can make the problem worse or create new problems. Rather than focusing on a single problem, like leaky windows, the house-as-a-system approach looks at how improvements throughout your home work together to give you the most cost effective results. An energy audit will help you understand how much energy your home is using and how much it’s wasting. Using a variety of diagnostic tools, the auditor will identify problem areas that affect the home’s overall comfort, indoor air quality and safety. Then they will prioritize recommended repairs in order—from must-do to nice-do-do—that fit your budget. ConsumerReports recommends using an energy auditor certified by the Building Performance Institute. Many people think that the windows of their home are causing uncomfortable drafts or cold/hot rooms that can’t maintain temperature. 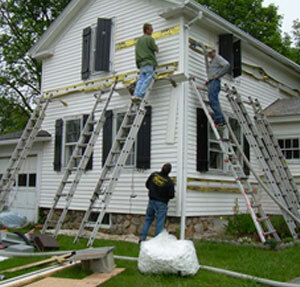 BPI certified energy auditors use diagnostic equipment to find cracks and gaps around windows and doors, electrical outlets, recessed lights, and in the air duct system, the attic, and the basement/foundation. By sealing these gaps and installing insulation properly, you can reduce drafts and cut down on significant air leakage without replacing windows or doors. Poor ventilation and/or moisture in the home can lead to dust mites, mold and allergens, which causes a variety of respiratory health problems. Air sealing cracks and gaps in the building envelope and ventilating your home properly will help circulate clean, fresh air and reduce dust and moisture in the home, resulting in lower humidity and occurrences of mold and other dangerous allergens. Recommend Installing ENERGY STAR rated appliances and lighting can significantly increase the energy efficiency of your home, resulting in savings on your utility bill. And air sealing and insulating your home means your ENERGY STAR furnace or air conditioner won’t have to work as hard to heat or cool your home, cutting your utility bills even further. The house-as-a-system approach reduces homeowner annual utility bills by as much as 20 percent or more, according to the U.S. Department of Energy.